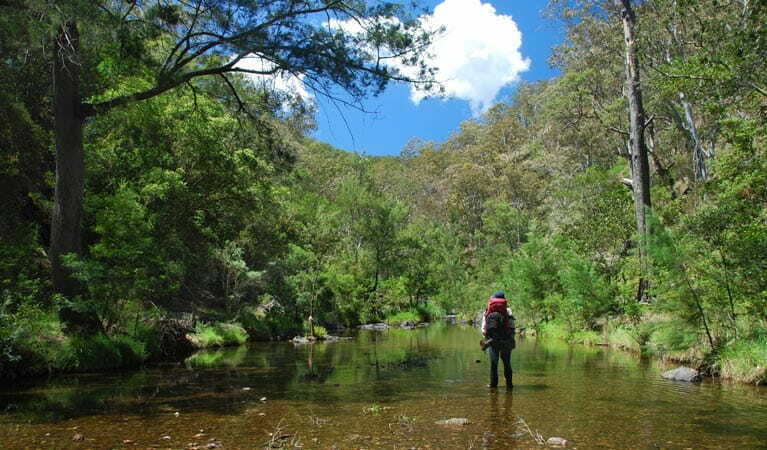 Make a booking to experience fern-lined gullies, high elevation forests and wildlife along the Green Gully track. Stay in heritage huts for a break from this challenging multi-day hike. Minimum 2 people at $300 for 5 nights. Additional people at $150 each. Book online or contact Walcha office on 02 6777 4700. To book online, select first night only and leave number of nights as default (1). 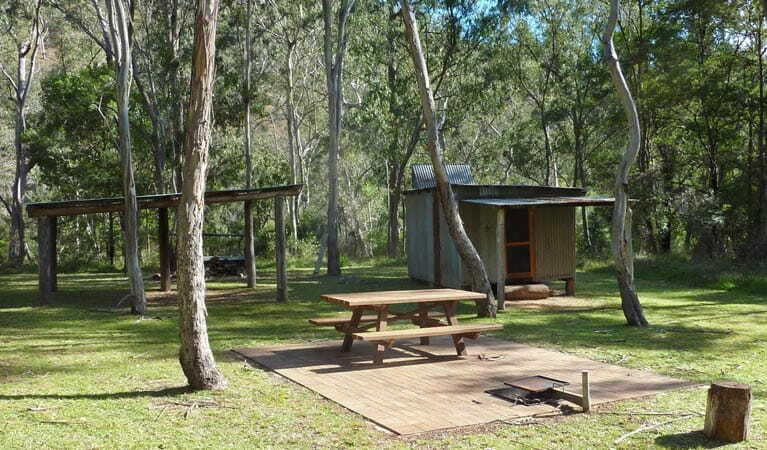 Your booking starts at Cedar Creek Cottage, with the walk starting the next day. To secure your booking, a $300 payment is required. This is non-refundable, but may be transferred once only. All bookings require a completed Group Confirmation Form which is emailed with your booking details, and final payment at least 4 weeks prior to your walk. 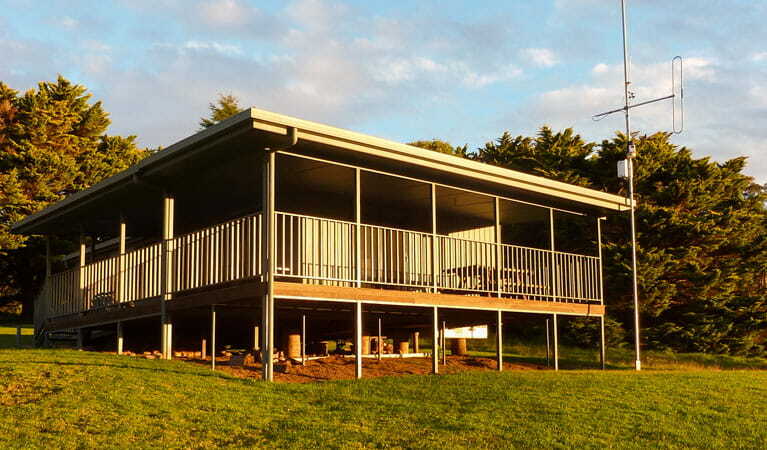 You will stay in 5 huts over your 4 day walk, starting at Cedar Creek Cottage, followed by Birds Nest Hut, Green Gully Hut, Colwells Hut and finishing up at Cedar Creek Lodge. 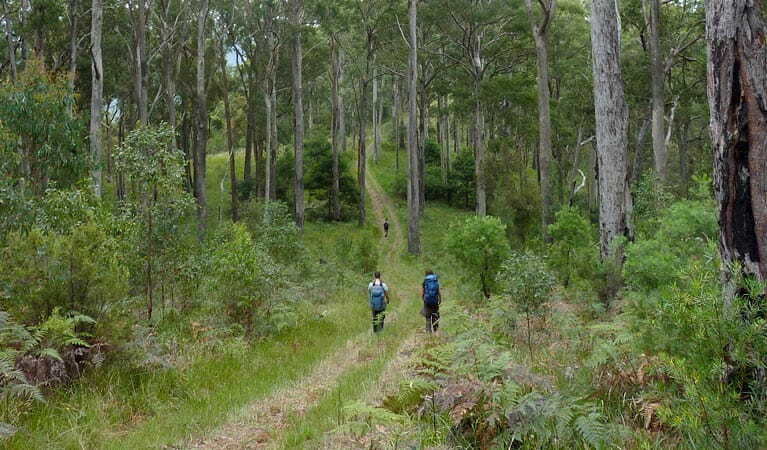 You'll need to be fit and prepared for long, sometimes arduous walking over 4 days. The track is 65km and often steep, with a 900m descent on day 2, a walk through creek beds on day 3 and a 600m climb out on day 4. After you book, a comprehensive list of required gear and directions will be provided as part of your information pack. This park is in a remote location, so please ensure you are thoroughly prepared, take appropriate clothing and equipment, and advise a family member or friend of your travel plans. 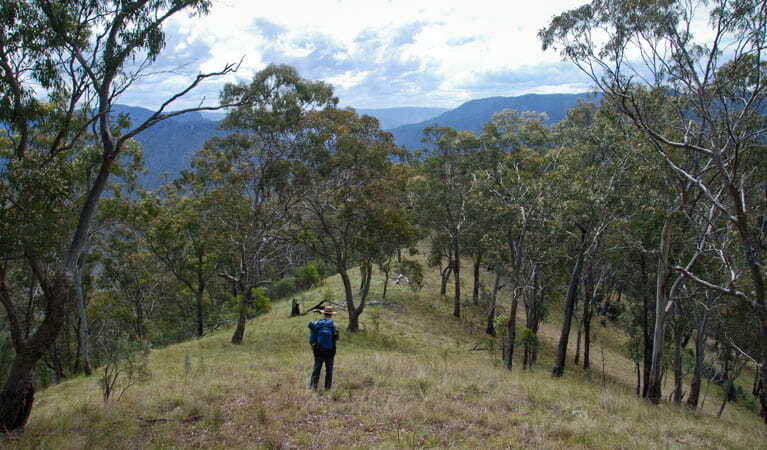 The Green Gully track, part of the World Heritage-listed Oxley Wild Rivers National Park, is an adventurous 65km walk. 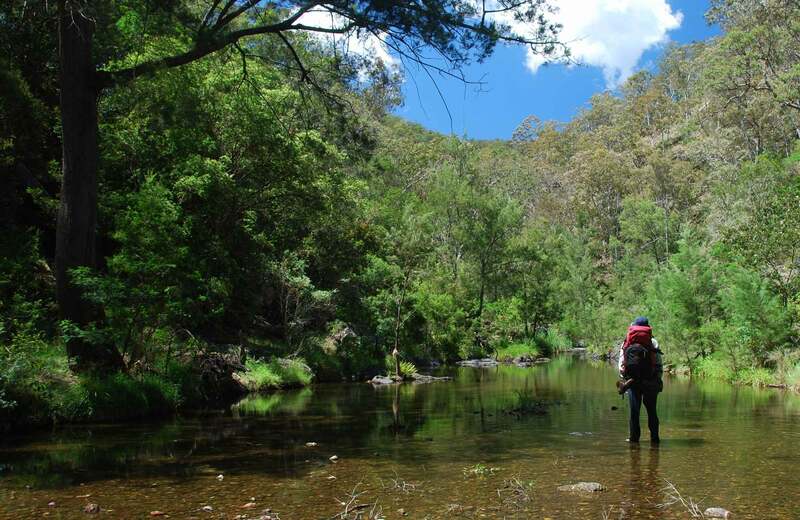 This award-winning walking track is one of the best in NSW, and takes you on a unique journey deep into the Apsley-Macleay gorges, one of the largest gorge systems in Australia. The only way to experience the inspiring views, dramatic gorges and abundant wildlife is to book a self-guided walk. 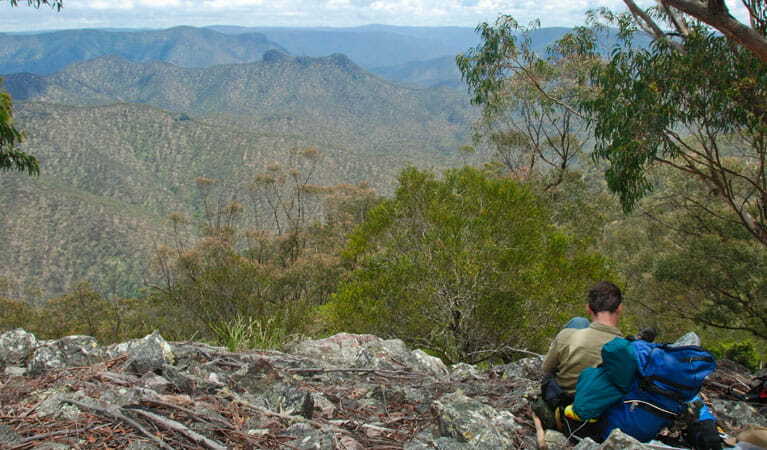 On the four day Green Gully track, you’ll traverse fern-lined gullies, crystal-clear mountain streams, high-elevation forests as well as towering rocky outcrops. You’ll share some of the terrain with endangered brush-tailed rock wallabies, soaring wedge-tailed eagles, and native marsupial mice. Uniquely, there is no need to carry a tent as you’ll stay in restored stockman huts along the way. Fitted with the essentials like beds, rainwater, solar-lighting, non-flush toilets and cooking equipment within each hut, these huts will greet the weary walker at the end of each day.